Join us to collect stuffed animals, canned goods and donations to help families in need. 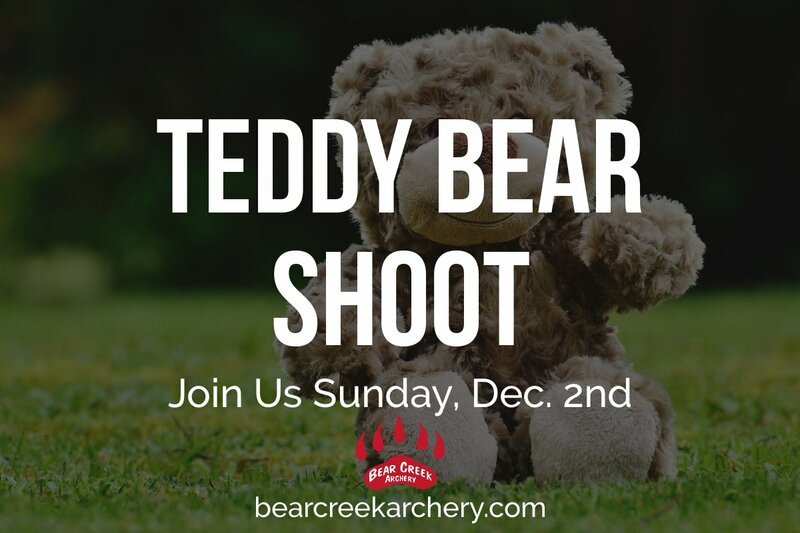 Admission $20 per shooter with a stuffed animal donation. Canned good donations also accepted. All proceed donated to Ronald McDonald House. Raffle prizes and auction items too! https://www.bearcreekarchery.com/wp-content/uploads/2017/11/112317-HappyThanksgiving-DenverArchery.jpg 1073 1280 cmuser https://www.bearcreekarchery.com/wp-content/uploads/2017/06/logo-bear-creek-archery-05.png cmuser2017-11-23 08:39:302017-11-22 18:41:56Happy Thanksgiving!